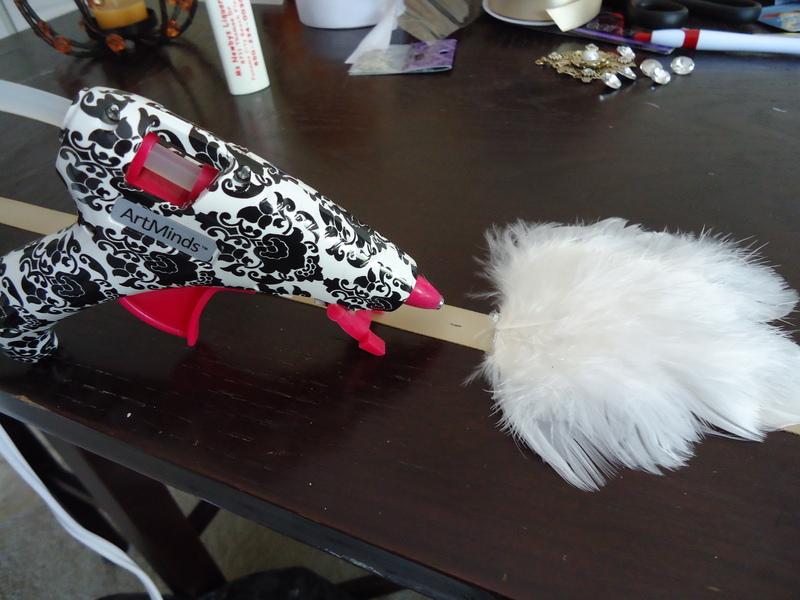 Besides the hot gun, which I already have, I purchased basically everything from Hobby Lobby, except the ribbons I bought at Michaels. You don’t need both ribbons, I just thought variety would be nice. By the way, BEWARE, anyone who is holiday or Christmas OBSESSED…. don’t go to Hobby Lobby. Send in a friend if you have to. I almost had a panic attack in excitement from all the endless amounts of holiday cheer, glitter, sparkle, red & green, Santa and Jesus. I couldn’t. My heart couldn’t handle it. I was only in there for flapper supplies! I physically had to remove myself from that half of the store. ha…but anyway… you’ve been warned. 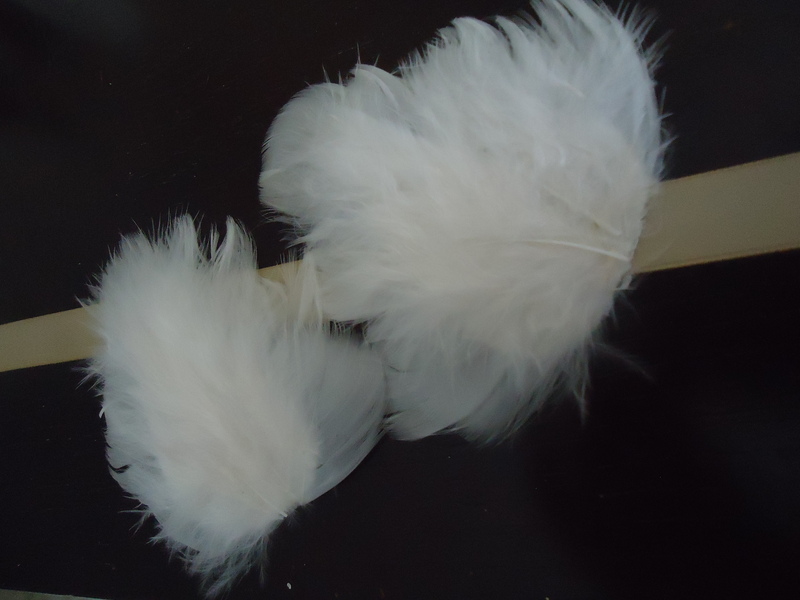 Two White Fancy Feathers (Hobby Lobby) or any bulk feather appliques of your choice. 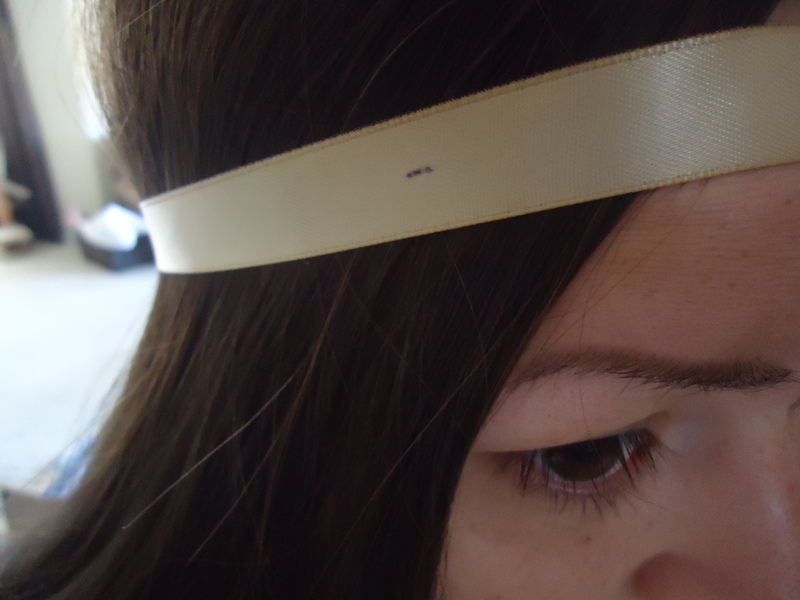 Step 1: Cut out and measure the size of your ribbon as the base for your flapper headband. 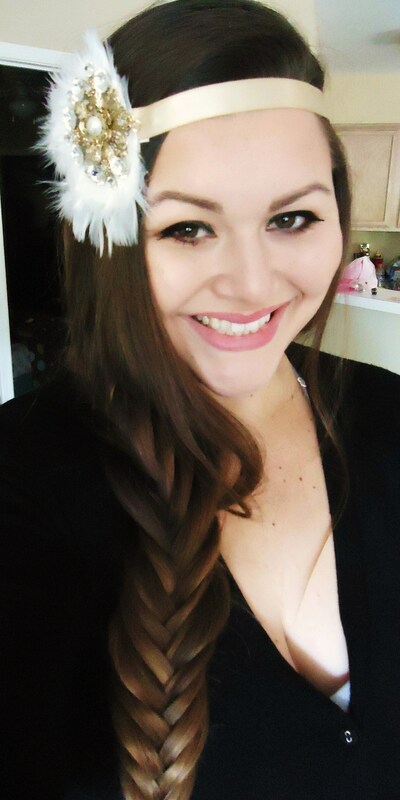 I personally wanted to have a bow when I tied it in the back, therefore, I made mine a little longer. Completely optional how long you would like to have it. 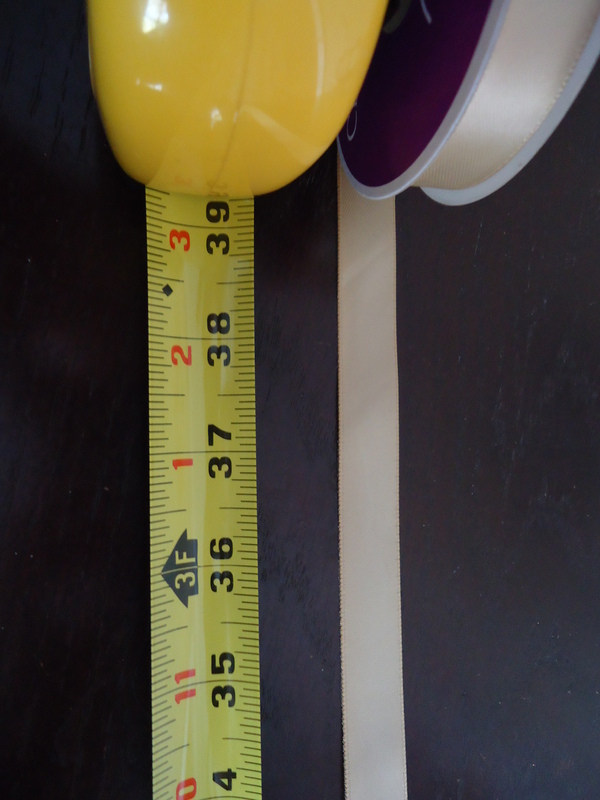 Mine was 39 inches. 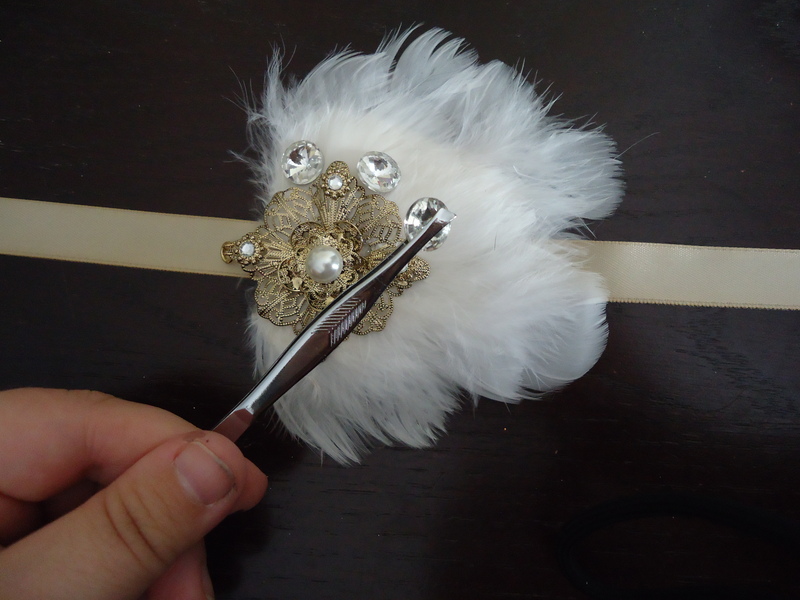 Step 2: Since I decided to use a ribbon instead of an actual headband, just remember to burn the edges of the cuts to prevent frailing (be careful!). 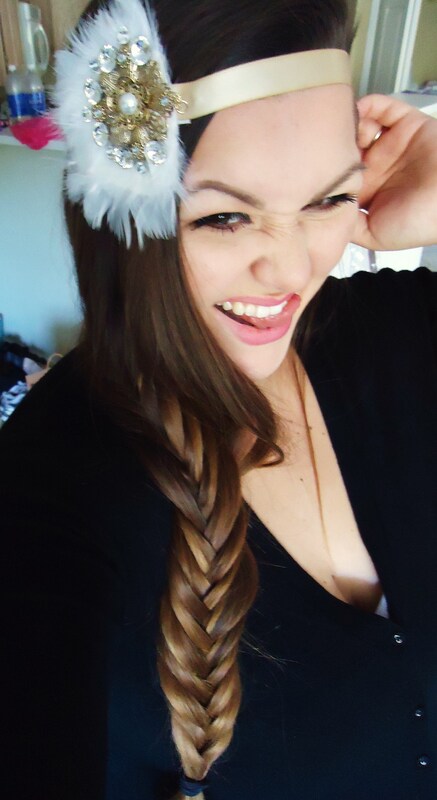 Step 3: Wrap the ribbon around your head and mark where you would like your creation to rest on. I personally marked mine to the right of the ribbon. 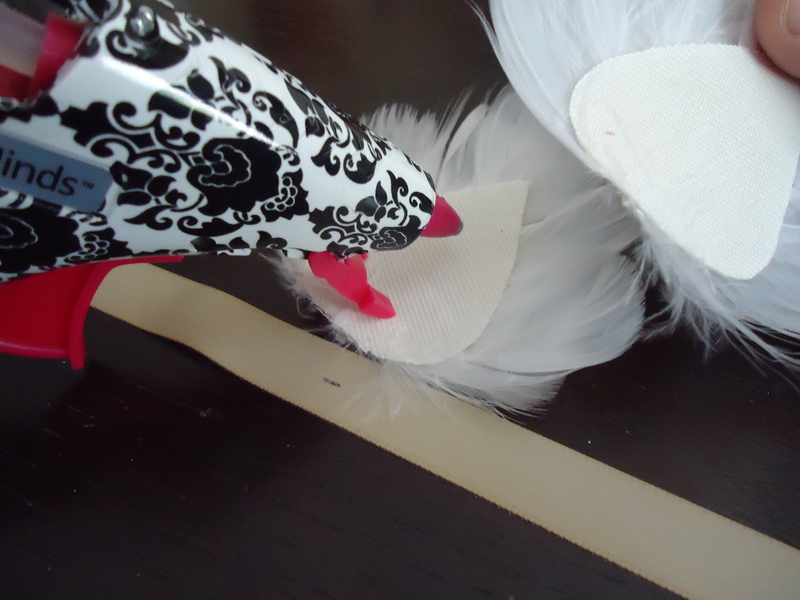 Step 4: Grab your two feathers and flip them over to hot glue the two together. 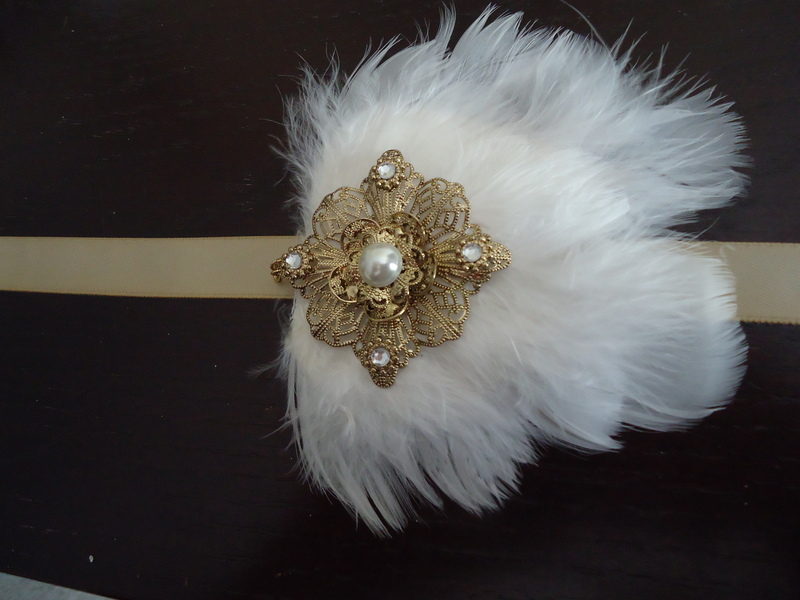 I did not want to glue them right on top of another but just simply overlapping them so that it essentially made into one large feather applique. 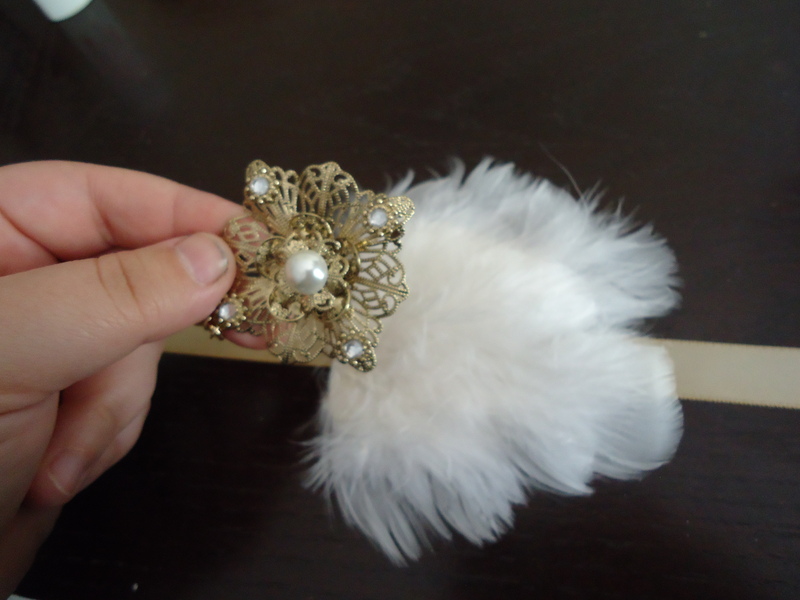 Step 5: After you glue the two feathers together, glue the whole thing to where you marked on your ribbon. 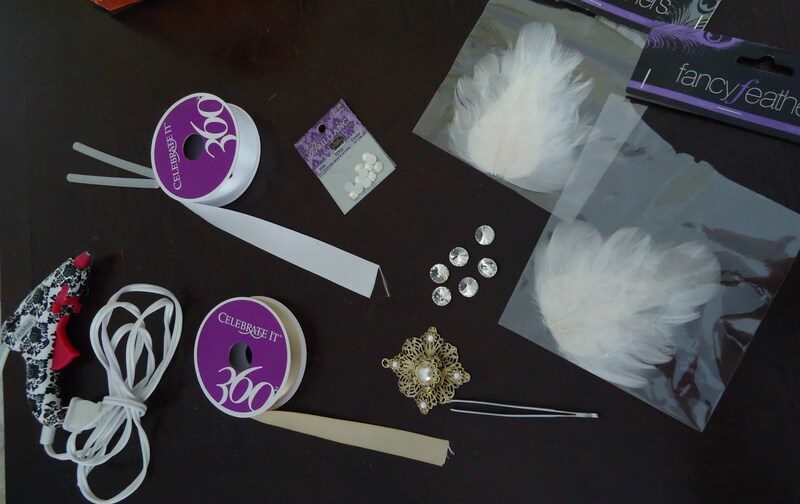 Step 6: Once the feathers are officially glued to the ribbon, take the large jewelry or broach piece and glue it in the bottom center. Now, at this point, you are more then welcome to stop here! 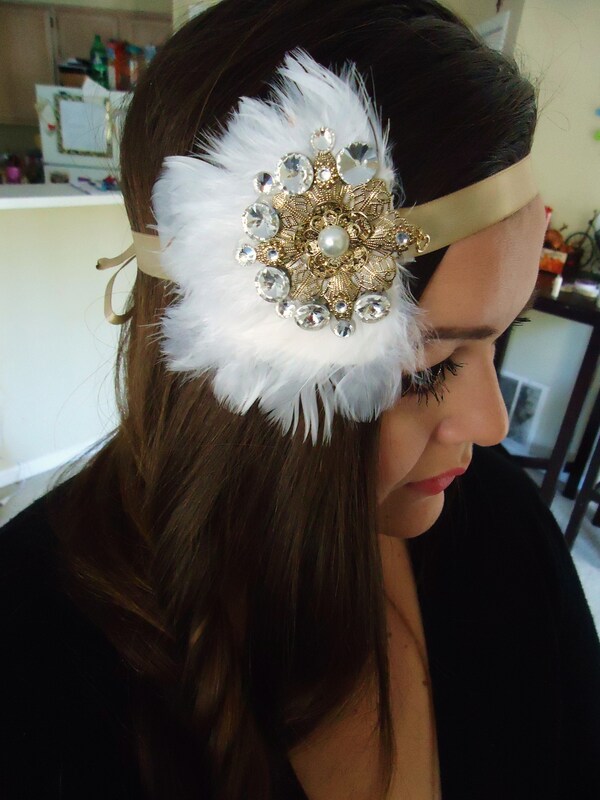 This would be simple and beautiful for the flapper look. 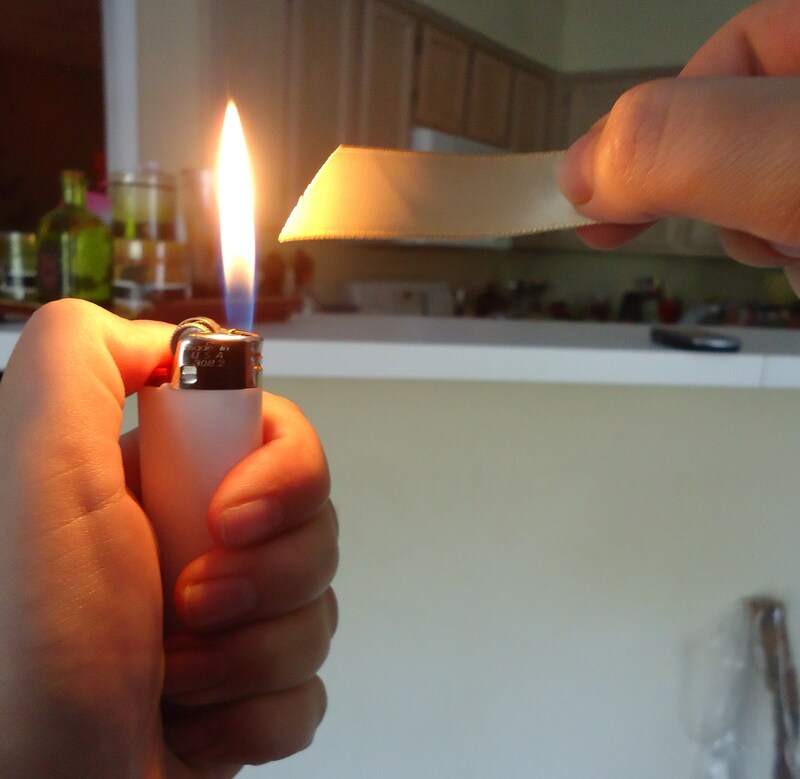 But if you want to add a little pizazz…then keep going! 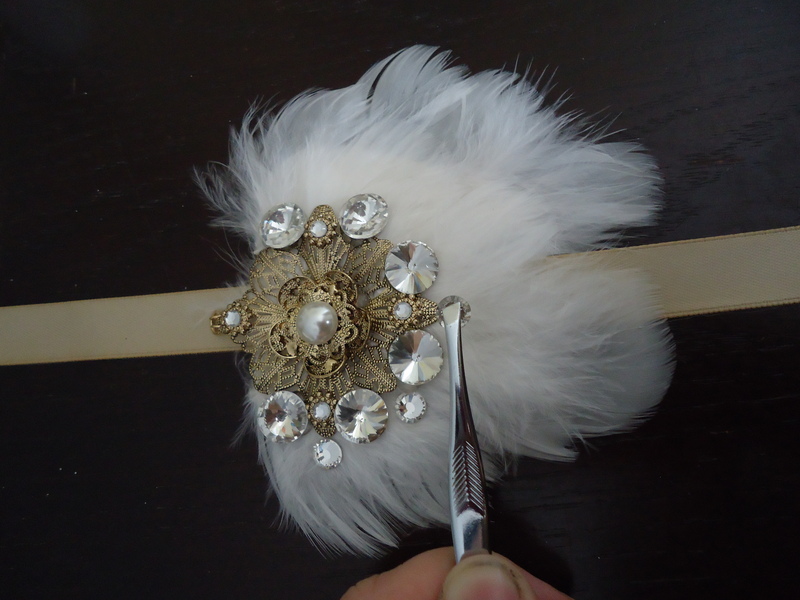 Step 7: Next, take your larger rhinestones and glue one stone to each point of the broach. 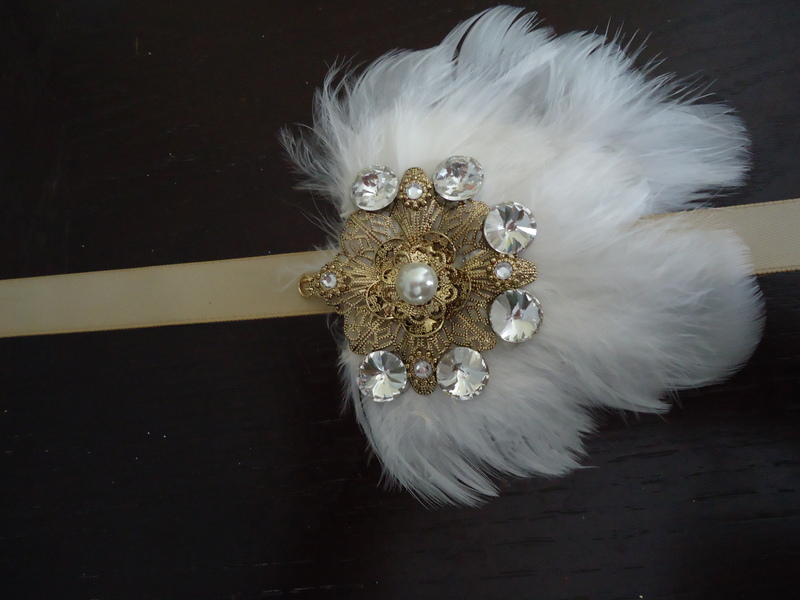 Once again, feel free to stop after this step…but if you want to be over the top and gaudy like me…see last step. 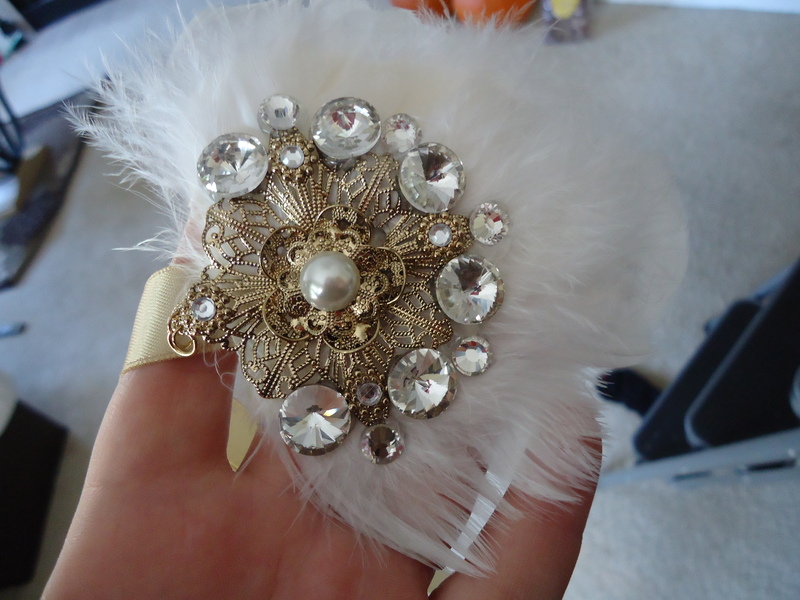 Step 8: Take your smaller rhinestones and glue one in between every larger rhinestone. 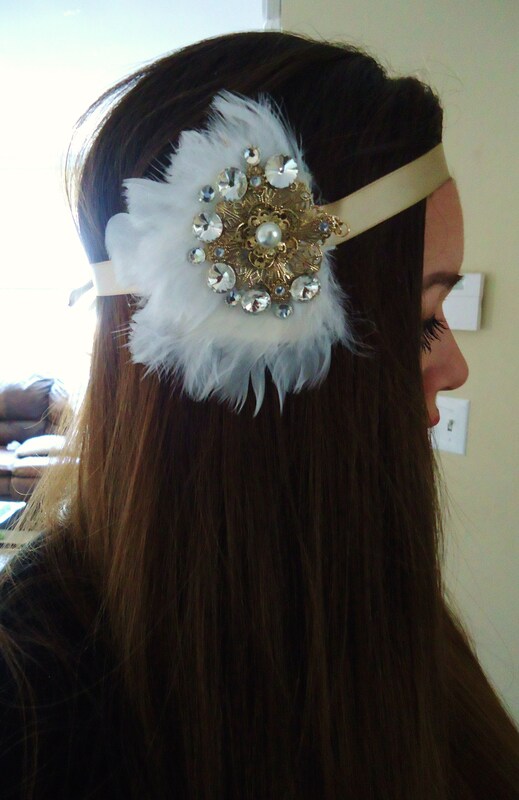 Now just put it on, add some pearls and you’re good to go! 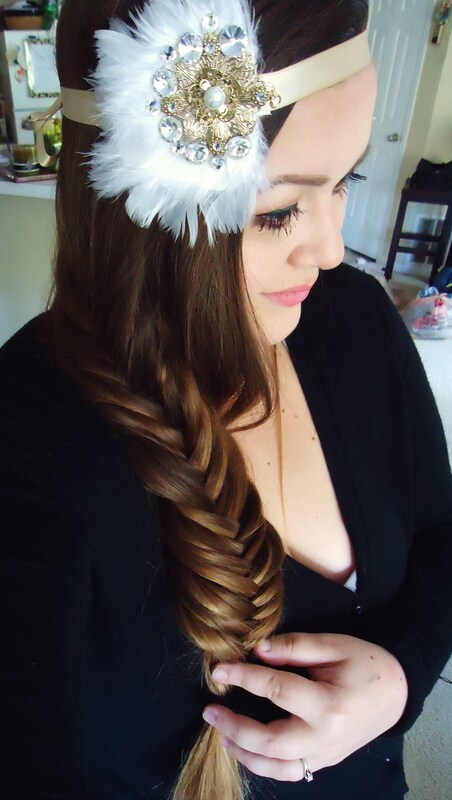 Have you seen my last blog post? Top High-End Eyeshadow Palettes for Fall 2014!